A rendering of the Ormsby's sister engine, the Lyon. Both were built in 1869 by the Union Iron Works in San Francisco. February was a busy month. Every two years, the model railroaders in Kansas City who have operating layouts invite others to share in their operations. This year, over 30 operating railroads hosted about 135 attendees from the east coast to the west coast and a lot in between. Over a Friday to Sunday weekend, each guest got to operate on four layouts in the area. The S&C hosted two of these sessions and 20 visitors. It was a lot of fun and the railroad performed well but there was a lot of work getting ready for the event. This left little time for new projects. I did, however, make a start on another new engine. 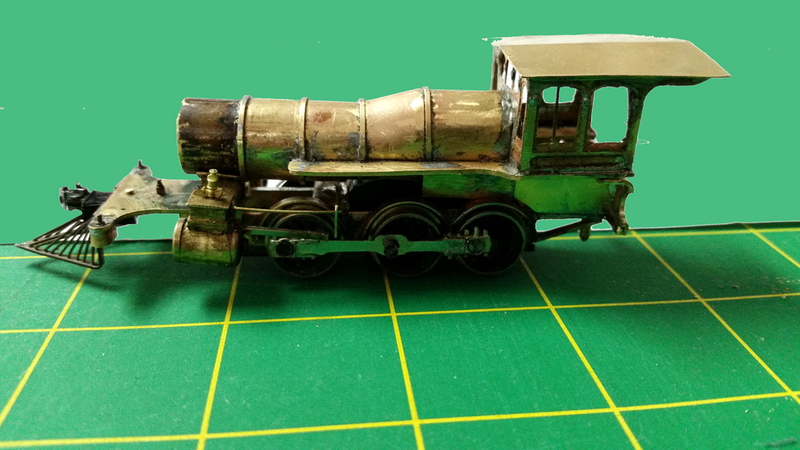 Both the chassis and the boiler/cab are scratchbuilt from brass and nickel silver. The drivers are 40" in diameter. Drivers and cylinders are left over from the Porter mogul engine. This new locomotive will be a model of the Virginia & Truckee's No. 2, the Ormsby. It was built in 1869 in the same order as the Storey (http://sandcrr.blogspot.com/2016/01/new-locomotive.html) but it was a little smaller. While I am modifying a Porter mogul for the Storey, the Ormsby is scratchbuilt. To date, I have completed the frame and siderods and formed the cab and boiler. 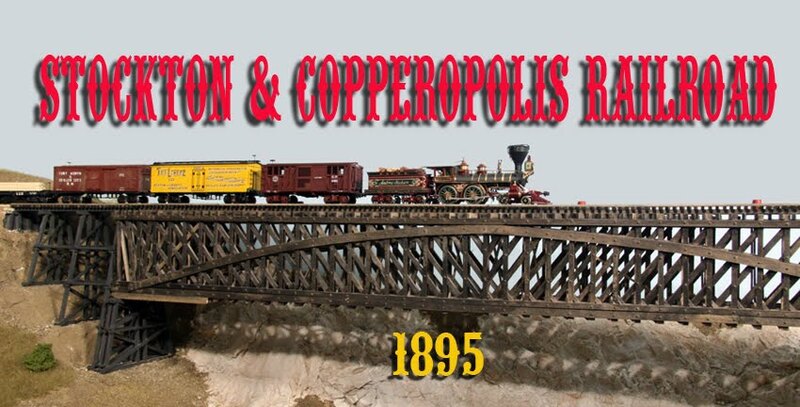 All of the construction is based on the builder's erection drawing found at the California State Railroad Museum. 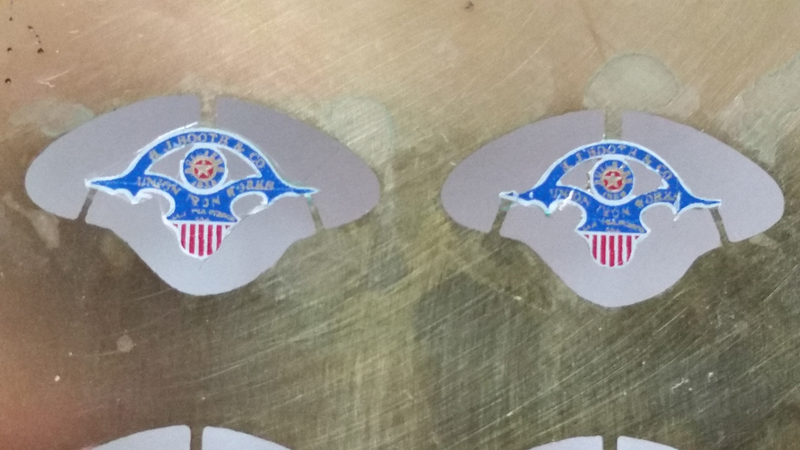 These plates mount between the fenders of the engine. 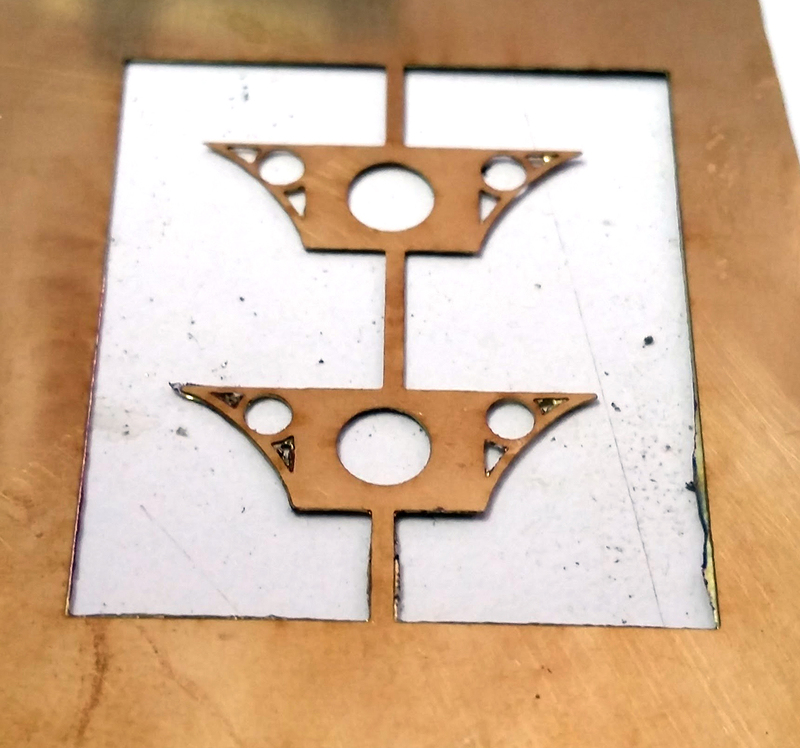 To make the cab, headlight bracket and builder's plate, I tried etching brass with varying results. 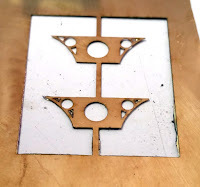 The headlight bracket and builder's plate turned out all right but the thicker material I wanted for the cab would not produce the results I wanted without a lot of fiddling. I need to try some better techniques for thicker etchings. 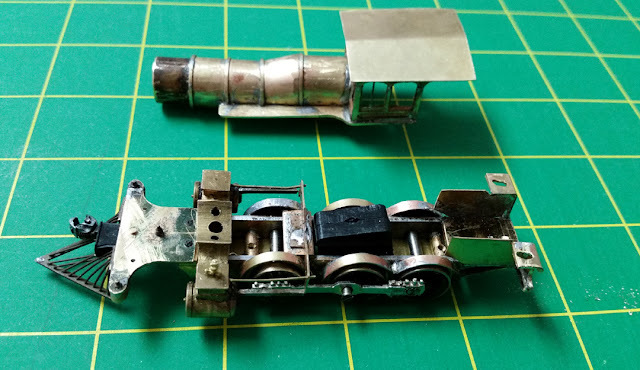 Some of the parts on the engine such as the drivers, cylinders and tender are left over from the Storey project while the pilot is from a PFM Reno. Headlight brackets still need to be bent to shape. Obviously, more work is needed to finish the engine and it goes slowly but both engines should be ready for paint before too awfully long (I hope).